Black olives are so frequently eaten as a snack, that they are sometimes overlooked as a cooking ingredient. Black olives are picked and cured after ripening, and the sheer variety of types available, from smooth and mellow to sharp and tangy, make them great for adding depth and flavour to dishes. 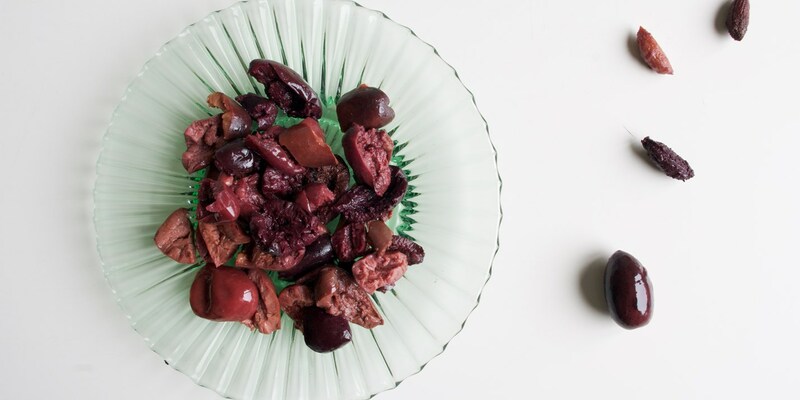 Often associated with Mediterranean cuisine, black olives are traditionally the main component of tapenades, a briny paste, such as in Robert Thompson’s grilled sardines with tomato confit and tapenade recipe or Agnar Sverrisson’s cod brandade canapé. Another great use for black olives is in baking recipes, as they add moistness and robust flavour. In our olive recipe collection, Marcus Wareing pairs sliced olives with salty Greek feta and fresh herbs in these gorgeous savoury muffins, while Graham Campbell blends olives to a paste to mix evenly through his simple olive bread recipe.